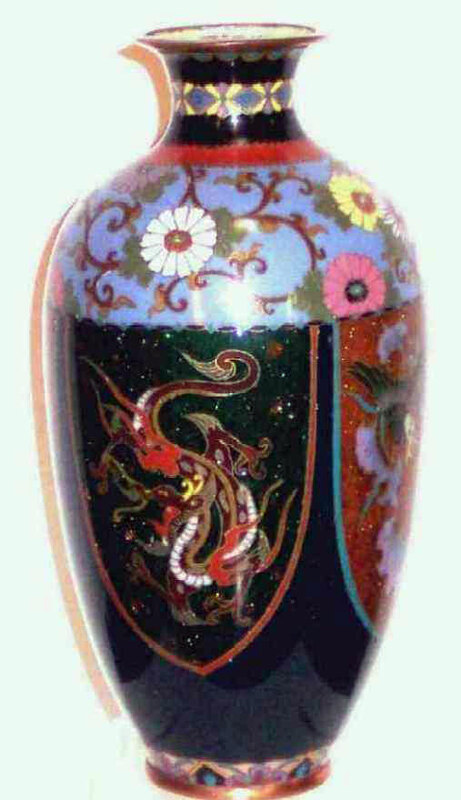 Presented here, an exceptional Japanese Gold Wire Cloisonne` Vase. Excellent condition. Four panels encircle the vase, Two have the dragon on a forest green background and two have a stylized bird on a rust-colored background. 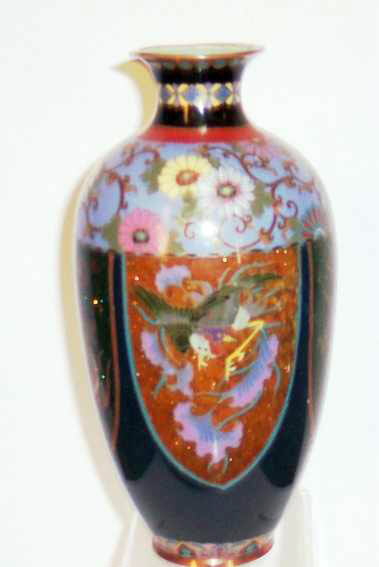 The background color of the bottom two thirds of the vase is a dark navy blue while a vining floral decoration on a perriwinke ground encircles the shoulder of the vase. All in all a very lovely combination.